As I wrote about back in January, the word, “Natural” essentially means “nothing”, as far as the FDA is concerned. The FDA (has) declined to issue a regulation that would define use of the word “natural” on food and household product packaging in the near future, stating: we’re not sure how high an issue it is for consumers. Well actually, according to a Yankelovich study commissioned by Burt’s Bee’s, 78% of consumers believed that “natural” claims ARE regulated. So, of course they are not concerned…the government’s on the case, right? The natural products industry is no longer one comprised of small, entrepreneurial hippies carefully blending organic ingredients in their bathtubs. Many if not most of your favorite organic brands are now owned by large corporations. which adds new importance to defining the word “natural” – not for consumers, but for highly competitive consumer products companies who own natural brands – like Clorox, (Burt’s Bees) ; like Johnson & Johnson (Aveeno) ; like Estee Lauder (Aveda) – all powerful marketing machines. Now that the big boys (and girls) own natural brands, the pressure is on to define natural. It’s a big selling point and an important part of these companies’ marketing strategies. SC Johnson’s Greenlist: a patented process that formalizes the classification of raw materials used in our products according to their impact on the environment and human health. Clorox’s Burt’s Bill : A set of standards they believe natural products should have. Green activist groups also are trying to help consumers understand what exactly they are buying when they purchase a natural brand: Buy Green has their “Buy Green Standards”. The Environmental Working Group has their Skin Deep cosmetics database . What does this all add up to? More confusion for the consumer. 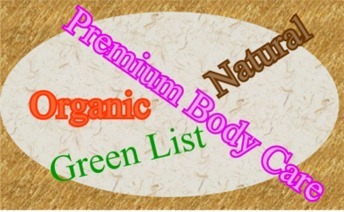 Related Posts: Natural Means Nothing; Clorox Benefits From FDA’s Decision on Natural; Is Windex Greener With Greenlist? ;Who Owns Your Favorite Organic brand? Labels can be worthless and deceptive. And with the new and changing names of ingredients, you really have to dig to stay on top of what is in your products. This is especially important since there are no laws or regulations regarding the things we put on our skin (hopefully this will be changing in the future). All we can do is read labels and dig, dig, dig for honest info! This its very helpful. It help children to understand what eco mean. I would like it if you made another web site for childeren to look at and to try and understand what eco means. Franken foods…love the imagery there. To some it is substance….to others they recognize it as useful when factual comparisons don’t work as well.